Hold a copy of the original hand-printed edition of this small, compact, thick volume in your hands and you will feel the vellum breathe along the many pleats of its spine like the lungs of an accordion or bellows. The feel of the dried skin against your own carries physical associations of the living thing it once was, and the winged harp printed in black ink has bitten into the surface giving it an extra sense of dimension. Inside, the thick hand-made paper pages have been folded twice, so the packet gains elasticity from the springy volume of the folds, each of which wants to breathe open to reveal the four-part page concealed in its interior. Image and text, artist’s name and poet’s name in small dense Baton type, and a wide array of sound poems, textual experiments in fragmentation, rhyme without sense, and words without allegiance to syntax or spelling. The letters march and the words group and spread, long sequences of improbable vowels or consonants screech and click, whisper or pirouette, in a performative motion of expressive components. These are the elements of poetry let loose from the labor of meaning production to create effects in sound and special visual impact, the sense of non-sense, in a full range of Dada and Futurist innovation compressed into a single volume. Twenty-five pages comprise the core of the book, with forty artists, some contributing both verbal and visual art to the work. In addition, there are a few pages with parataxis – title, a table of contents, colophon and so on. The book is not a standard book and the less than two hundred copies of the work, now rare as the first dragon’s teeth sown by Cadmus, belong to collectors or collections, locked in and far from the social fray in which the project was conceived. Dramas and battles, contestations and protests, accompanied the conception of the work. But that alarm is silenced now, distant and remote, and the only sound one hears in creaking open the thick paper is the noise the type produces in one’s head, the brilliant vivid cacophanies and symphonies of sound appearing to the eye on the page accompanied by the small, elegantly printed images as varied in their style and layout as the poetry. A small gallery, travelling exhibit, time capsule anthology, representing a who’s who of experimentation from the early 20th century. Image 1: Poésie de Mots Inconnus, 1949, cover. Look at the list of contributors: Ibronke Akinsemoyin, Pierre Albert-Birot, Hans Arp, Artaud, Jacques Audiberti, Hugo Ball, Nicolas Beaudin, Camille Bryen, Paul Dermée, Raoul Hausmann, Vincente Huidobro, Iliazd, Eugène Jolas, Velimir Khlebnikov, Alexei Krutchonykh, Pablo Picasso, Boris Poplavsky, Kurt Schwitters, Michel Seuphor, Igor Terentiev, Tristan Tzara, enhanced with images by Arp, Georges Braque, Bryen, Marc Chagall, Oscar Dominguez, Serge Férat, Alberto Giacometti, Albert Gleizes, Hausmann, Henri Laurens, Alberto Magnelli, André Masson, Henri Matisse, Jean Metzinger, Joan Miró, Picasso, Léopold Survage, Sophie Taueber-Arp, Edgard Tytgatt, Wols, Ribemont-Dessaignes. Almost all, even at this distance, are names familiar to anyone who has been immersed in the innovative literature of the early 20th century avant-garde. Some, like Picasso, Miró, Giacometti and Arp practically define modern art as much as Tzara, Ball, Hausmann, Khlebnikov and others defined one distinctive branch of modern poetry. Some played a role as critics. Metzinger, Ribemont-Dessaignes, Albert-Birot, and Seuphor created the critical framework through which modernity was defined. Theorist-practioners and poet-painters, all are artists of formal innovation and distinctive contribution. Only Ibronke Akinsemoyin stands out as an unknown name among them, even if various others have faded somewhat from their familiar status over time. Akimsemoyin had been Iliazd’s wife, a Nigerian princess stranded by circumstances in Iliazd’s world. She died during the Second World War for lack of antibiotics, as the experimental drug, penicillin, was not available in time. This remarkable collection is the work of Ilia Zdanevich. Known professionally by a contracted version of his name, Iliazd published what is most likely the first anthology of experimental visual and sound poetry. 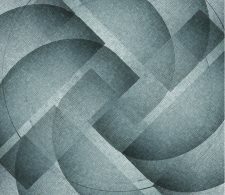 The importance of the work does not depend upon its absolute claim to priority, and if earlier instances of such anthologizing exist, outside of ephemeral collections in journals or magazines, that would be interesting to know. But the value of La Poésie de Mots Inconnus [The Poetry of Unknown Words] is its presentation of radical poetic innovation. As François Legris says, in her detailed and extremely useful study of the book notes, the project was not exhaustive but exemplary in its editorial approach. Iliazd (again paraphrasing Legris here) was well acquainted with the work of James Joyce, of Christian Morgenstern, and other writers who had played with the phonetic and graphical potential of language in the 19th and 20th century. But he chose to focus on the work of his peers, those figures within the modern movement of the first decades of the 20th century with whom he had been acquainted, and whose experiments he wished to bring to light and into a formal platform for recognition. He had good reason, in the late 1940s in Paris, to want to do this, as a gauntlet thrown down by the newly arrived upstart poet-theorist of Lettrism, Isidore Isou, challenged the emerging history of avant-garde literature with claims about the originality of his inventions. Iliazd, was well-suited – perhaps even uniquely qualified – by personal connections and professional experience, to create such an anthology. He knew all its authors personally, and had lived through and been a part of the radical experiments in poetic language exhibited its pages. Born in Tiflis, Georgia, in 1894, he had been present to the unfolding events of Russian Futurism in Moscow and St. Petersburg in the years immediately preceding the outbreak of World War I. Friends with Natalia Goncharova and Mikhail Larionov, those leading lights in the transformation of Russian art into a specific and unique expression of visual modernism, he was also involved in the circles of poetic activity that included many now canonical and major figures: Velimir Khlebnikov, Igor Terentiev, Vladimir Mayakovsky, and Alexei Krutchenyk, to name some of the most visible and influential among the poets. Iliazd had followed his older brother, Kiril, into the vital art scenes in the capital, and was responsible for the first catalogue raisonnée of Goncharova and Larionov’s work at the moment when the latter was articulating his theory of Rayonism, a variant of Cubism focused on light rather than space for its optical principles. As a young, intellectually and aesthetically ambitious poet, Iliazd plunged into the debates about the work of the charismatic and problematic Italian writer, Filippo Marinetti. He was present for Marinetti’s appearances, kept track of the responses of Russians eager to align with and those equally eager to distance themselves from the promotional rhetoric of the Futurist. The term was adopted by the press to identify all and every variant of experimentation with form and expression. Iliazd, like many others, was caught up in an enthusiasm for being among the budyetlyane, or men of the future. When the war broke out, Iliazd’s parents called him back to Tiflis, arranged for him to be sent on an archaeological expedition to the Caucuses, and distanced the young poet from the international conflicts as well as those that ensued immediately after in the events of the Russian Revolution. In and out of Tiflis between 1917 and 1922, Iliazd, by this time in his 20s, kept his life as a poet squarely in the center of his activities. With Kruchenyk and Terentiev, he created an environment to sustain experimental work including a kind of ad hoc cabaret replete with posters, performances, and printed ephemera. Most important for his own work, however, was the production of four of what would eventually be five dras or plays in a version of zaum, the trans-mental language that had been one of the unique concerns of the Russian futurist poets. During his years in Tiflis, Iliazd learned the fundamentals of typesetting and design, including the meticulous labor of hand-setting type. His designs demanded so much detailed attention that it is unlikely he would have found a commercial printer willing to take on the work of composing the dras without charging a price too exorbitant for a young poet. The dras set the stage for Iliazd’s later work, both in the legitimacy they gave him to claim futurist credentials, and in the serious intellectual work of experimentation with graphical forms of poetic expression. Iliazd’s engagement with books and print, with experimentalism and innovation, lasted throughout his life, but occurred in several distinct and discrete periods. His initial immersion into the Russian avant-garde in the 1910s provided the intellectual framework within which his own poetic compositions were conceived through the very last book of his own poetry, Boustrephedon au miroir, produced in 1971. The Tiflis period, 1917 through 1922 was one of consolidation and substantive production. The dras are a unique achievement for their extension, variation, and virtuosity of typographic composition. The full cycle of five plays was completed after his arrival in Paris, with the 1923 publication of Ledentu Le Phare, (Lidantiu Faram or Ledentu as Beacon), the most complexly scored of his typographic works. A hiatus of a decade and a half followed the disappointing reception of this work. The reality of making ends meet, having a family, and other changes in his personal life but also the aesthetic circumstances of post-WWI Europe, made the futuristically-inflected works of his early years seem part of a now-finished era. Futurism reminded people of the war, and its rhetoric, which were out of keeping with the new mood of surrealist dreams in literature and returns to figuration in the visual arts. In the late 1930s, Iliazd decided to attempt a printing and publishing project again, and unfortunately his timing coincided with the beginning of WWII. Paper became scarce, subscriptions and patrons as well, and Pismo, his Russian-language foray in the livre d’artiste, with an engraving by his friend and colleague Picasso, languished in relative obscurity. He would take up this mode of production again in the 1950s, and then continue with deluxe editions of unusual works through the end of his life in 1975. 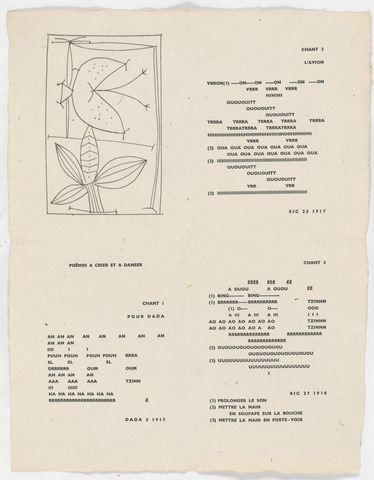 Each of the works Iliazd produced in that last prolific phase was a work of poetic uniqueness as well as a carefully calculated layout and design (many of the mock-ups and studies for the projects use graph paper to position every letter in the text, for instance, as a guide for the actual setting in the print shop). Nothing in the work of other major publishers – Albert Skira, Ambrose Vollard, or Daniel Kahnweiler – rivals Iliazd’s attention to literary selection or appropriateness and innovation in layout and typographic design. These are his distinctive characteristics, and part of what makes his accomplishment as a publisher and editor so remarkable. He was a writer, poet, book designer, and publisher/editor in tune with the ongoing traditions of such work in small literary presses of our time (I could name many, but will forbear for the sake of social equilibrium, merely noting that the commitment to innovative literature in combination with that of design distinguishes these works from that of mainstream small press publishing, deluxe fine press editions, academic literary work, artists’ books, and other genres which generally lack one or another of the literary, design, or innovative components). But the impulse that led to the production of Poésie de Mots Inconnus arose from specific circumstances within the literary world of post-war Paris. In 1946, the Romanian poet Isidore Isou had arrived in Paris with a voluminous manuscript and an equally enormous ego. Convinced that what he was about to publish would revolutionize poetics, he (at least so the apocryphal tale goes) went to the offices of Gallimard, his manuscript in hand, and refused to leave until he had the work accepted for publication. Introduction à une Nouvelle Poésie et à une Nouvelle Musique was published by the renowned house in 1947. No doubt the story is exaggerated, but like other con-artist-poets capable of publicity scams (we have known many in the modern era, including notorious figures in our time), Isou managed to position himself at the forefront of a movement to which he gave the title, Lettrism. Isou’s claim, and the position adopted by his first two “lieutenants” recruited from the Parisian avant-garde and refugee community, Gabriel Pomerand and Maurice Lemaître, was that up until the development of Lettrism, all poetic activity had been concerned with composition at the level of the word, text, theme, or larger structure and form. The Lettrists, however, were determined to atomise language, attend to its smallest unit, the letter, and form a poetics from this component and the principles of a glyph-sign-symbol-based combinatorics and code. Lettrism, Isou claimed, was both the pinnacle and fulcrum point, the apogee of literary production and conception and the point on which it would turn towards a future unimaginable without the insights and transformations wrought by its techniques. The letter, not the poem, not the text, not the poem or prose form, was at the core of the manipulations by which the writings and graphical works of Isou, Lemaître, and Pomerand were produced. A great deal of imagination and graphical elegance and excitement is embodied in these works. The early 1950s were a period of prolific experimentation in the core group and its widening array of followers. Lettrism’s fortunes were bound up with those of the international CoBrA group, of whom Asger Jorn, Karl Appel, and Christian Dotrement are perhaps best known. But Lettrism would eventually lose its definition, to some extent, and much of its claim on critical attention, as key members of its wider group aligned with figures from CoBrA (Jorn in particular) in a new formation which took the name Situationism through the activities of Guy Debord. The Situationists rhetoric connected to the temper of the times, by then the beginnings of the 1960s, and their engagement with the growing interest in political advocacy and activism fostered an interventionist approach that was quite distinct from the Lettrist’s focus on aesthetic matters first and foremost. This is not the place to repeat the many well-detailed studies of the ways the Situationist International came into being, or took the form it did. The focus of this piece is the tale of the anthology Poetry of Unknown Words, which came out of the initial phase of conflict between Iliazd and Isou in the late 1940s. As far as Iliazd was concerned, the focus of SI was far from his own interests in books, art, and poetics. In this regard, Iliazd remained a figure of the early avant-garde, committed to a non-instrumental approach to the reconfiguration of consciousness and attention through aesthetic works. Throughout his life, Iliazd made books in which the poetic texts performed acts that were subversive, counter to the norms of poetic composition and verse, alternatives to the mainstream and dominant uses of language. His theater of operations was circumscribed by literary and artistic worlds, and his conception of politics, if there was one, was only that of the politics within aesthetics, not beyond it. He cared deeply and passionately for experimental work, and also, for the accuracy of the historical record of its emergence and its lineages. But the terms of SI and of political activism never engaged him, nor showed in any trace in the books he produced. But when challenges to the history of poetics arose among the earlier Lettrist practitioners, Iliazd was quick to combat, entering fearlessly into confrontation with his perceived foes, rallying his companions and witnesses to history. In 1946 and 1947, a very public battle reigned in which Isou took to the French press and to venues in which he could lecture on his Nouvelle Poésie, stating bluntly and repeatedly that Lettrist approaches had no precedents. When Iliazd countered, with correctives to the history and aesthetics of Isou’s claims, demonstrating a long prior history of avant-garde engagements with sound poetry and graphical experiments, Isou attacked. Isou accused Ilizad of fabricating history, of making up a past. Isou began to issue various proclamations, publications, in the form of letters to the press and statements in very public appearances. In his public lecture in 1947, Iliazd presented a discussion of these precedents in a talk titled, “Après nous, le Lettrism,” (“After Us, Lettrism”). Isou countered with ad hominem attacks, calling Iliazd an impostor, and other scurrilous epithets, and denying the claims put forth for any precedent to his own extreme Lettrist inventions. According to Isou, no poet before him had fractured the surface of verse into components of letter, sound, glyph, or sign, and all claims to such prior invention were bogus. Tempers flared, oppositions intensified, and at last, Iliazd could bear the erasure of the historical past no longer. Furious at Isou’s refusal to accept assertions, documentation, and other counter-evidence, Iliazd determined to produce the anthology that would contain a wide array of early works. Isou was neither rational nor reasonable, and the escalation of attacks convinced Iliazd that the only way to address the misperceptions Isou was promoting was to create an anthology in which works originally published in the 1910s and 1920s could be put back into print in a solid collection documenting the contributions of the past. At that moment, the late 1940s, Iliazd had direct connections with the Russian, Italian, German, and French practitioners of avant-garde poetry. He had worked directly with many of these figures, corresponded with them and others, and had connections with prominent figures in the visual arts as well. He contacted these people, proposed his project and collection, and began the work of putting together the works and designs that become Poetry of Unknown Words. Such was the set of conditions from which this anthology arose. The correspondence around the project was personal, as well as professional. Iliazd wrote to his former colleagues, used his networks, asked his friends and acquaintances to contribute to the project. Iliazd did all the work of curating, selecting, and pairing the artist-writers himself. Russian, German, French poets – these were the companions of his youth, now, like himself, aware of the distance from their first enthusiasms, aware also of the brutal facts of history and the threats of oblivion. His call to recall the past work, monumentalize it in this anthology, struck a chord. Even for those established figures who had no need of career boosting or visibility, like Picasso or Miro, the project offered a unique framing of their most experimental work, a pedigree of authenticity with regard to avant-garde credentials. A work of passion, conviction, personal integrity and editorial commitment, it came together as an expression of lived aesthetics, rather than as an exercise of scholarly or intellectual labor. The design of the book is as striking as the contents, and, as in all Iliazd works, the two cannot be neatly divided. The list of contributors reads like a who’s who of the early avant-garde, with the exception of the Italian Futurists, whose absence, in spite of Iliazd’s continued loyalty to Marinetti, might be attributed to their turn towards fascism in the decades between their early innovations and the time of the anthology. Iliazd chose poets whose work in the 1910s and 1920s had defined the experimental wing of a generation, and among these, a number were artists who also contributed graphic works – Picasso, Hausmann, Bryen, and Arp. The only figure whose appearance in Iliazd’s life was recent was his newly deceased wife, Akemsemoyin. The others were individuals Iliazd had known for twenty years or more, and whose works were vintage pieces from the 1910s and 1920s. Each is distinct, and each is given a different typographic treatment specific to its poetic character. Iliazd chose an unusual format for the book, which is small in physical dimension, even if it is large in scope. About 7” x 5.5” and about 3” thick, it is wrapped in a pleated vellum cover printed with an engraving by the French surrealist Georges Ribemont-Dessaignes. 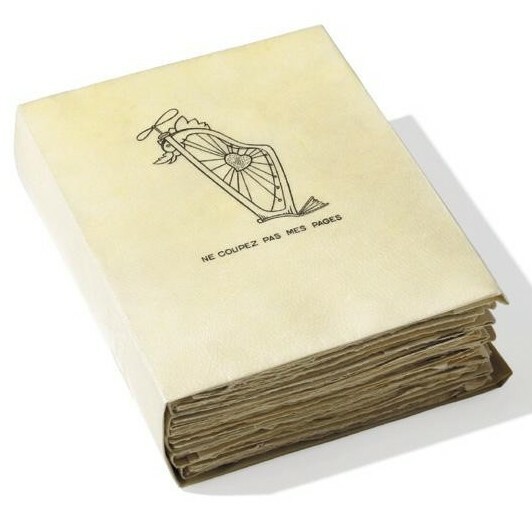 The image of the winged harp carries the caveat “Ne coupez-pas mes pages,” or “Do not cut my pages.” The warning is essential because the individual poems are each printed sheets folded in four and put into the cover without any sewing, adhesive, or binding. A typical French reader, habituated to reading with knife in hand to cut pages within a newly issued book, would have done terrible violence to the volume within instants. So from the start, the work announces its deviation from the rules of production and reception, countering the norms of publication by not binding the folded sheets and thus asking a reader to do the work of unfolding each poetic event within the dramatic space of surprise. Each unfolded poem uses the heavily divided four-part space of the opened sheet differently, even if they all respect the deep creases in the thick, hand-made “Papier Isle [sic] de France a la Cuve” printmaking paper. A hundred and fifty-seven copies were printed on this paper, ten copies on Chine, and three on vellum. Each layout makes use of the four quadrants to contain its elements: the title, the date and original venue of publication (as appropriate), and an image. The name of the artist and author are on the outside of the folded sheet. Images are printed from blocks or engravings, and all the type in the book is a tight, bold, sans-serif called Baton. Later Iliazd would adopt Gil Sans as his signature font, and use it for every book produced after Poetry of Unknown Words. The Baton had some of those features, with its conspicuous modernity, but was heavier and less spacious than the Gill. It worked well for Poetry because it was compact and impactful at the same time. The task of assembling the project was significant, the labor involved was done under a sense of urgency. Iliazd was driven by a sense of injustice and pique, forces that always galvanized him. He was determined to demonstrate, through the contents of this anthology, that Isou was wrong, lying about the real history of Lettrism and its attempt to claim unique status as the source of first invention in a realm where Iliazd knew full well that more than three decades of work preceded the Romanian’s preposterous statements. The testament to Iliazd’s reputation is the speed with which he put the project together. Isou’s Introduction à une Nouvelle Poésie et une Nouvelle Musique, had been published in Paris by Gallimard in 1947. Poésie de Mots Inconnus appeared in print in 1949, after a two year period of incubation and production. Getting images, texts, and permissions from each of these individuals to bring it to fruition was remarkable. In the case of Artaud and Ball, Iliazd was dealing with an estate or executor. The twenty-five images are printed in a wide array of techniques: six woodblocks printed relief, six etchings, two engravings, three dry-points, five lithographs (of which three are in color), two aquatints, one gravure, and one typographic pages replicating a 1918 poster work by Raoul Hausmann. The coordination of production was almost as artful as the content of the work, and juggling the artists and timelines to match production schedules was more challenging in this project than in any other Iliazd book printed afterward – given the elaborate cast of characters and range of printing techniques. The works show many facets of early avant-garde experimentation, and succeed in achieving Iliazd’s main aim, to demonstrate and document the existence of those radical poetic innovations. True, Akimsemoyin’s work was in Nigerian, but treated as a sound poem for European readers unfamiliar with the Yoruba language. The first poem in the anthology, accompanied by a heart-shaped abstract linoleum cut by Henri Matisse printed in blue ink, it actually establishes a wonderful play of sense-as-familiarity versus legibility by being at once a work readable to the initiated and experienced as sound pattern to the non-native speaker. Where, Iliazd suggests in doing this, does the sense of language reside? In the social act of communication, the formal structure, the acoustics and pattern languages of sound, the visual performance on the page or all of these in varying degrees depending upon the circumstances? Albert-Birot’s “Chants” titled “Pour Dada,” accompanied by an engraving by Picasso of a biomorphic possible hairy plant form, consist of strings of repeated sounds and held vocalization, their rhythmic scoring enacted by controlled spacing between the syllables:” AN AN AN AN AN AN AN AN” and so on. Artaud’s “Texte detachée,” accompanied by a Georges Braque lithograph of a bird and tree and moon in a night sky, originally printed in the late 1940s in Critique, includes onomatopoetic lines and nearly unpronounceable syllables. Hugo Ball’s works were from a Dada Almanach publication, another from De Stijl, another from a performance originally danced by Sophie Tauber-Arp, reads with syllabic emphasis, “Looaka Hollala / Angolo Bung / Blago Bung etc.” Nicolas Beauduin’s contributions include a symmetrically shaped work for Picabia, reminiscent of that artist’s mecanomorphs, as well as other works flush with dashes and fractured vocalization, accompanied by Albert Gleizes etchings whose mechanical images vibrate with repetitive gestures and line. Camille Bryen’s sound poems “NA-NI-YA-NE-O-ASILLI” from the 1930s are placed with two of his own drypoints, sketchy, suggestive figures from a surreal world. Paul Dermée’s combinatoric wordplay uses sounds and letters from the phrase “Mon nom est anémone…” to create a work that shifts into and out of readability, just as the image by Henri Laurens is both legible as a figure and then absorbed into a stain. Hausman’s famous “fmsbw[…]” is placed at right angles to his “Cauchemar” (“Nightmare”) which stutters along like the chatter of frightened teeth, “CH CH CH CHCHTT CHCHTT CHCHTT” and so on. Vincente Huidobro’s fragment slips back and forth between wordplay and sense, as does the equally mysterious aquatint of a highly specific but non-representational organic form rendered by Alberto Magnelli. Iliazd’s zaum poems are extracts from his dras and intensified by their proximity to the erotically suggestive Wols drypoint. Eugène Jolas’s sound poem shimmers in its stair-stepped verse structure echoing the instability of the two colors of André Masson’s characteristically evocative etching. A lyrical dream-image etching by Marc Chagall actually anchors Velimir Khlebnikov’s zaum in a frame of possible reference as the duck issuing from the mouth of one of the figures is as comphrensible as language as the verses, doubly distant by being in Russian and zaum. The overprinting of Alexei Krutchenyk’s poems pushes them out of focus alongside the shakily elongated Alberto Giacometti figures. These are followed by a color extravaganza in the page of Serge Ferat’s blue, red, yellow, and black lithographs that push Boris Poplavsky’s poems to their edges. This play of text and image is again intensified in the next opening, as Michel Seuphor’s poem is printed on top of Leopold Survage’s two-colour woodblock – following and ignoring its strong shapes by turns. 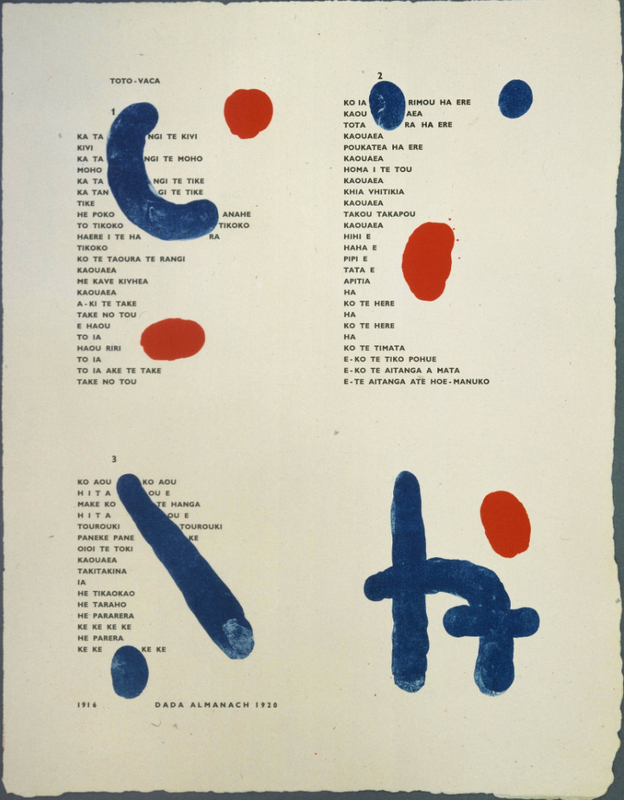 Igor Terentiev’s poems share a page with Edgard Tytgatt’s wood block in a calmer black-and-white dialogue, but the poem by Tristan Tzara on a page with bold lithographic red and blue forms created by Joan Miro is a small masterwork of presences and graphic absences in a well-choreographed dance. The final page, the “Achevé d’imprimer,” printed in red and black, deliberately out of register, also contains a handsome scribble drawing by Pablo Picasso. Like the work at the outset, this concluding one makes a clear statement – the scribbles are suggestive of communicative language, but stop short of instrumental communication. The language is not in the service of anything, it is itself, a presence, an effect, a material, and form. But the range of experimental approaches is as varied as the sensibilities of the individuals involved. No single unified “unknown” consolidates the field comprised by these works, each of which performs its engagement with visual-verbal play in a singular manner. Images 2: Joan Miró, “Toto-Yaca,” Poésie de Mots Inconnus, 1949. Image 3: Pierre Albert-Birot, “Poèmes à crier et à danser,” with engraving by Pablo Picasso, Poésie de Mots Inconnus, 1949. 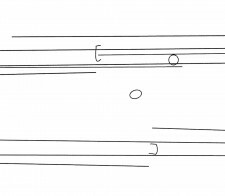 Sound, image, shape, layout, typography, and attribution of source – these are the means by which Iliazd asserts his claims to the prior existence of this “poetry of unknown words.” For the artists might be canonical figures, but these experimental pieces risked being lost from view, ignored, obscured on account of their difficulty, their distance from the literary fashions of mid-century, which largely eschewed the formal radicalism of the earlier decades. The words are not unknown by virtue of their belonging to another lexicon or language, but unknown because they are outside of the norms of linguistic efficacy. They belong, instead, to the realm of poetic effect, and all the conceptual and aesthetic potentiality therein. Anyone interested in the detailed analysis, documentation, and critical editing of this work should consult the expertly crafted Poésie de Mots Inconnus & Le Debat Lettriste, Les Carnets de L’Iliazd Club, Paris, 2014, with its long essay by François Le Gris, avant-propose by Régis Gayraud, article by him on the Isou-Iliazd confrontations, and other materials. I have consulted this volume for factual information and for its excellent (if minute) reproductions of the work, but have not included the many fascinating details and accounts contained therein. Both Le Gris and Gayraud are steeped in knowledge of Iliazd, and one could not find more authoritative work nor more scholarly engagement with these matters anywhere. Their persistence, and that of the Iliazd Club, under the leadership of François Maire, have made it possible to consult many of the otherwise unpublished and unavailable materials on this fascinating figure and his multi-dimensional contributions to modern poetics and the art of the book. Image: Kristen Mueller, "Hölderlin's Itinerary," from Partially Removing the Remove of Literature, 2014.